Young carers and their families from across the borough came together on Young Carers Awareness Day, 31 January to receive awards from Richmond Carers Centre. Celebrating personal achievements over the last year, every one of the 50 who attended received their own certificate with a message from a family members. Among the many moving citations, one mum had written that her son ‘is an inspiration’ and ‘the reason I get up every morning and keep trying’. 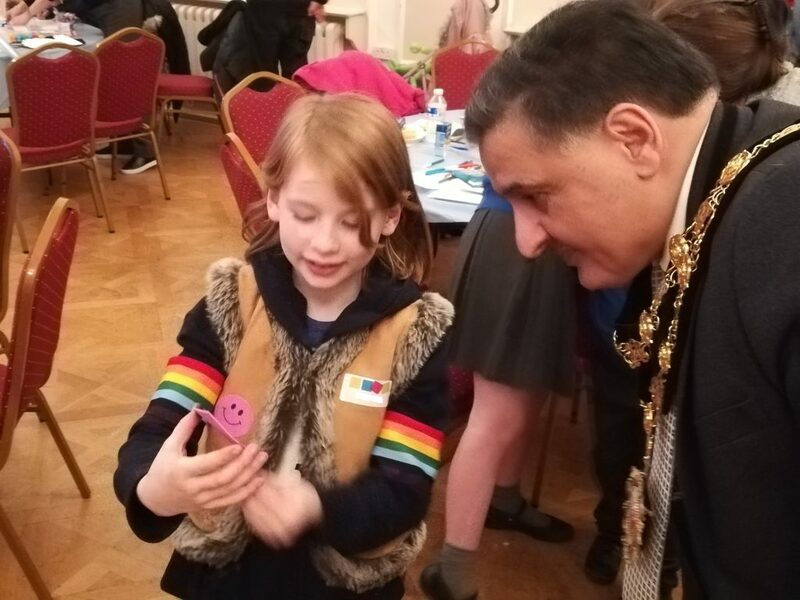 In the ceremony at York House, Twickenham, The Worshipful The Major of Richmond chatted with many of the young carers and spoke of the pride he felt hearing so many stories of ‘courage and resilience’. Richmond Carers Centre supports young carers, some as young as five, who are taking on a practical and/or emotional caring responsibility for a family member. Find out more about the Young Carers Service.